The crispiest thing in the worldwide web! You feel that, right? Burger time! The most satisfying burger video in the World! The most extraordinary video we ever had on our channel! 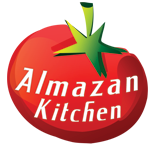 Hi and welcome to the AlmazanKitchen! Everyone loves smoked meat stuff, especially a smoked bacon! Even better if it’s Almazan Kitchen smoked bacon recipe! Prepared with help of our main chief – Mr. Ramsay the Owl. Hi and welcome to the AlmazanKitchen! Careful! Super hot! 18+! Behold, stranger! Are you ready to witness the hell fire itself? Your mouth will cry in agony.